Beck had left early this morning to get her hair cut and I was still lying in bed. Paige came up to talk to me and I asked her if mommy made coffee for me and she bolted out of the room to check. 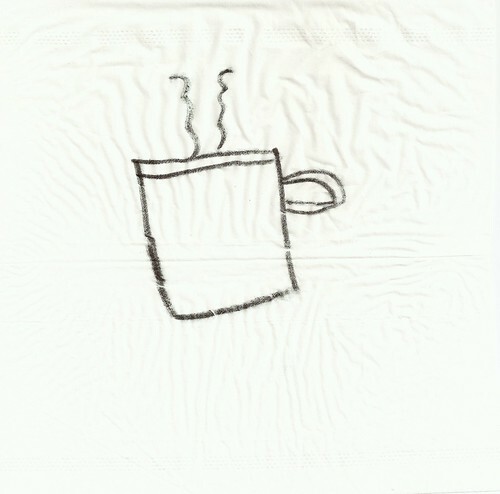 A few minutes later she returned, with this drawing (on a napkin) and told me that mommy didn't make coffee, so she made it for me. By the way, Paige is 5 years old.